When every person is born, they’re bestowed a purpose in life. For some, their purpose is not to make a lot of money or to have fame, but that doesn’t mean they don’t have a purpose. It’s with this purpose that everyone slowly finds his or her own meaning in life. Some people can find it through art, and some people can’t. Social Spaces out now! Buy here! Beijing’s social spaces — sites for gathering, dancing, playing, socializing, discussing, exchanging, dreaming, loving, hypothesizing both alone and with others — are slowly being eradicated. In their place State-led visions of a refined, cosmopolitan future are constructed. This second issue of 八家 Bajia considers the disappearance of Social Spaces throughout urban China, and particularly the socially engaged artist, architects and entrepreneurs that are challenging this socio-urban erasure. 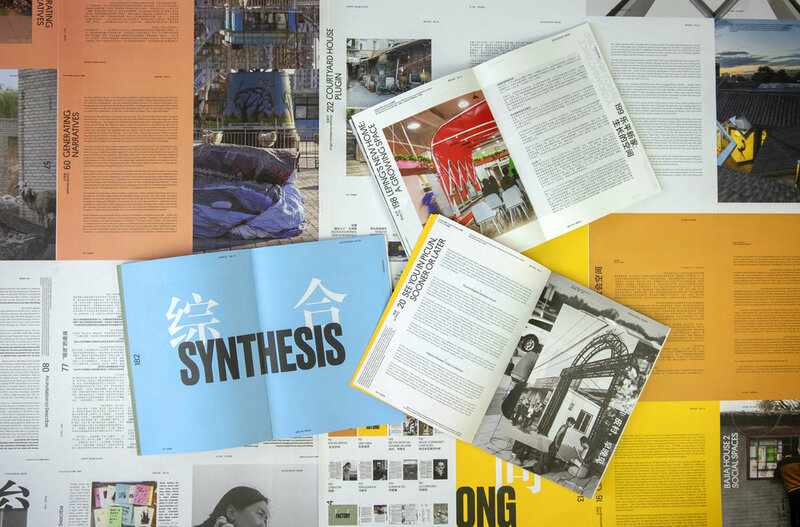 Within this printed space, twenty-four contributors survey, highlight, document and abstract various approaches to (re)building, creating, subverting, and maintaining the social and various interpersonal relationships that comprise it. Through eighteen months of research and collaboration, this issue of 八家 Bajia presents conversations guided by the political, economic, and social complexities inherent to the region, and not those of a Western legacy. 八家 Bajia House 2 is co-edited by Zandie Brockett and Wang Lijie, guest edited by Huang Jingyuan and Alessandro Rolandi, and designed by Céline Lamée from LAVA Beijing. House 2 contributors include Alessandro Rolandi, ATLAS, Chen Xinghui, Chen Yun, Dr. Xu Jing, Elaine W. Ho, Feng Junhua Huang Jingyuan, Xiang Jing, Kong Fanglong, Kyle Skor, Liu Chengrui, Luka Yang, Ni Kun, Liu Jiajun, Song Yi, Wen Hui, Wendy Wang, Wu Shuqing, Xu Tan, Zhao Tao. 八家 Bajia House 2 editorial team includes Gavin Cross, Li Lin, and Hugo Sansome.